15 Tips to reduce cleaning supply expenses fast! Part of running a profitable business is keeping track of expenses and reviewing practices to ensure that the most effective and economical systems are in place. Companies that rely heavily on cleaning supplies to conduct their business are no exception. Cleaning products are sold at different prices, levels of quality and performance, and dilution rates – all of which can affect the overall value and return on investment. Similarly, paper products are available in many different systems, and machinery at many different capacities. In order to decide on the right solutions for your business, these factors must be taken into consideration. As cleaning is a labour intensive industry, all time saved in the cleaning process can result in a reduction of expenses. Below are 15 tips designed to help you review your cleaning supply expenses and ultimately save money. Venues that service a large amount of patrons can find that they are constantly replacing toilet rolls. To minimise the amount of toilet paper used, and the frequency in which the rolls must be replaced, install cut sheet or electronic dispensers. These are designed to minimise the amount of paper each patron takes or receives with some systems claiming to be able to save up to 40% on toilet paper consumption. Think cheap cleaning products are just as effective as their more expensive alternatives? Think again. Cleaning products come in all different concentrations with varying active ingredients and levels of performance. Those few dollars you saved up front on a 5L bottle of spray and wipe will quickly disappear if it only dilutes down to half of a slightly more expensive product. Furthermore, it could have less active ingredients and require twice as much product to get the job done, wasting the cleaner’s time and your profits. Use Agar’s foaming hand soap, Double Bubble to reduce hand soap usage and costs! The total cost of hand soap can vary greatly between brands, dispensers and the types of soap. Foaming hand soaps uses a special dispenser to add air to the product. This can reduce the amount of soap required to make one dosage by up to 50% without minimising cleaning effectiveness or product quality. Dispensers with cartridges are generally more expensive to refill due to the increase in packaging costs. Opt for refillable wall dispensers to reduce costs while helping to minimise impact on landfill. It has to be said, surfaces that are cleaned more frequently are easier to clean and require less cleaning product and man power to do the job. Give surfaces a quick clean before they get dirty to reduce the need to do a deep clean and save time and money in the long run. If you are paying someone to clean, make sure that they are doing it effectively using the right chemicals, tools and methods, otherwise you might be wasting your money. Make sure staff aren’t just going through the motions of cleaning and are actually reaching the desired outcomes. Purchasing cleaning products prepacked in spray bottles? Swap over to reusable spray and squirt bottles and save! Commercial cleaning product manufacturers offer the cleaning products in 5L and 20L bottles that can easily be decanted into ready-to-use containers. Not only will you save on money but you will also be reducing landfill, associated transport costs and the energy required to make the disposable bottles! 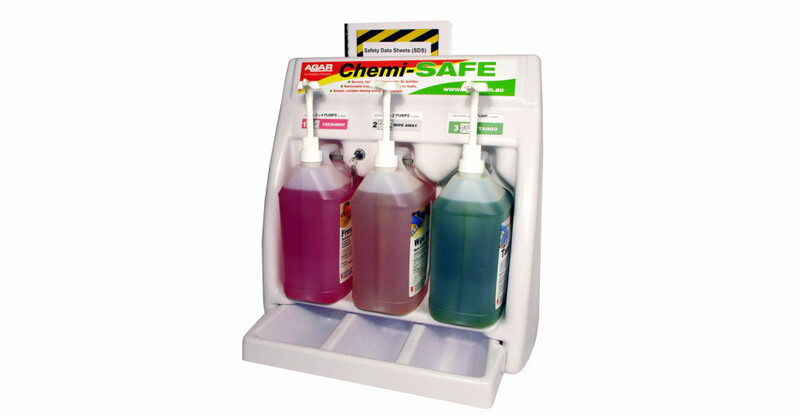 Make diluting products easy, reduce wastage and minimise spills with the Chemi-SAFE! Don’t leave decanting chemicals up to cleaners without providing them with the tools to do the job. It’s messy, potentially dangerous and often results in money washed down the drain. For sites with a large turnover of chemicals, source automatic dispensers to do the task quickly and effectively. For smaller sites or cleaner’s cupboard, install chemical cages with manual pumps, such as the Agar Chemi-SAFE. It locks cleaning products into place, has instructions for how many pumps are required for each product and task, has a tray to catch any spills and makes diluting products safe and easy! Harbouring three different products to complete one task? Don’t waste money by purchasing chemicals that aren’t going to be used. Keep your range simple, focusing on one product for each task and multiuse products that can be used for more than one application. This will minimise the amount of products cleaners must decant and carry, and reduce wastage. Reusable spray and squirt bottles save on packaging costs and landfill! The surge of micro-fibre cleaning products on the market has opened up all kinds of possibilities for reusable cloths, mops and more. The cloths are excellent for use in conjunction with Agar’s spray and wipe products and can be easily washed and sanitised instead of thrown away. Using colour coded cloths and mops also minimises cross-contamination and helps cleaners to identify which item to use for each task. Note: Microfibre must be laundered correctly to maintain quality and remove bacteria. Saving money in the long term can often mean spending more upfront and this is especially true when purchasing cleaning machines. Vacuums, auto-scrubbers, sweepers and carpet cleaners are all available at differing levels of capacity, back-up service and price. Saving on an item in the short term, but sacrificing on a warranty can end up costing you more if, or when, the product breaks down. Machinery that is undersized or too low in capacity can take much longer to complete a task, slowing down your team and costing you more overall. On the other end of the scale, machinery with excess capacity can be wasted on small sites that don’t take long to clean. Do your research before investing in cleaning machinery. Don’t over-invest or under-invest, look for the most productive option for the size of the site that you have. Most suppliers offer free delivery on orders above a certain price. Take advantage of this and order your products in advance, keeping stock of your most frequently used items in storage to make sure you don’t run out in between orders. Cleaning is a labour intensive industry. Any gains made through improving productivity and efficiency can result in big savings over the long term. All cleaning operations should be set out on a schedule, mapping out tasks in order of priority and the amount of time that is required to complete them. Simple strategies such as cleaning from the top to the bottom and doing the floors last, stops cleaners from ‘double handling’. Regardless of the room, surface or area that must be cleaned, a procedure should be drawn up with a time line for completing each task and the order for which they should be done. Some tasks don’t need to be completed daily. Having a schedule allows for periodical items to be tracked to ensure they are completed when required. Review this schedule regularly and trial alternative systems to see if they improve productivity while maintaining the quality of the clean. Switch from paper hand towels to hand dryers to save on costs over the long term! One simple and easy way to save money is to replace paper hand towel dispensers with electronic hand dryers. While the initial cost is more expensive, large savings can be seen over the long term, especially when economic machines are installed that focus on reducing energy consumption. 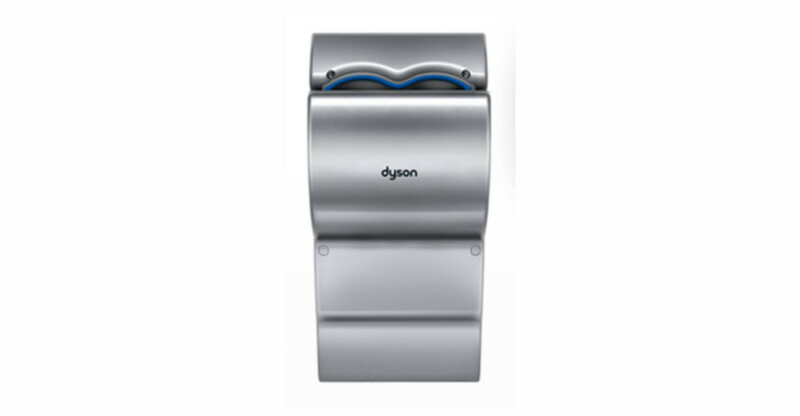 According to Dyson, its AirBlade dB hand dryer costs just $40 per year to run, compared to $157 for older, push button machines and a whopping $1460 for paper hand towel dispensers (Dyson). Furthermore, paper towels also incur the costs associated with the emptying and removal of the bins they are disposed in, not to mention the environmental impact that comes with producing them. While we previously discussed minimising the range of cleaning products kept on site, it is also important to note that using the correct product for the job can help speed up cleaning and improve productivity. A simple example of this would be using an all-purpose cleaner on heavily soiled tiles that have not been cleaned in a long time. 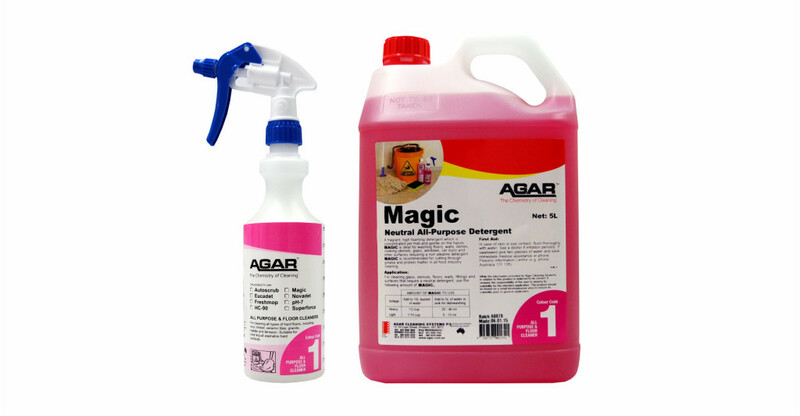 While the all-purpose cleaner may be effective in removing some of the build-up, a specialised tile cleaner such as Agar’s Once Off will do the job much faster and give a better result. Do you purchase your cleaning chemicals from a range of different suppliers or brands? Consider consolidating them all and purchasing from one single source. This will provide you with stronger buying power and the opportunity to purchase in bulk, potentially saving you money. It also eliminates the need to have multiple wall charts, dispensers and sales representatives to call for advice. Previous PostAustralia’s highest green accreditation achieved for commercial cleaning productsNext PostBlog Article – Microfibre, Friend or Foe?